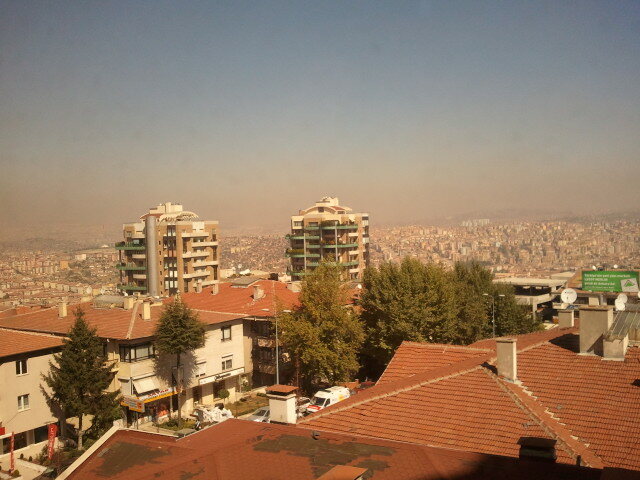 Here is a photo of Ankara taken from my temporary office window. Notice the thick layer of smog over the city. Air pollution seems to be an issue for Ankara and elsewhere and can have significant negative health impacts - in cities more than elsewhere. A research paper recommends switching away from coal (rather than distributing it free, as has happened in the past in Ankara-before elections, I am told). Given transport is also partly responsible, efforts to switch to electric cars can also have a beneficial impact on urban pollution and hence public health. High-pollution development models are reaching their limit.